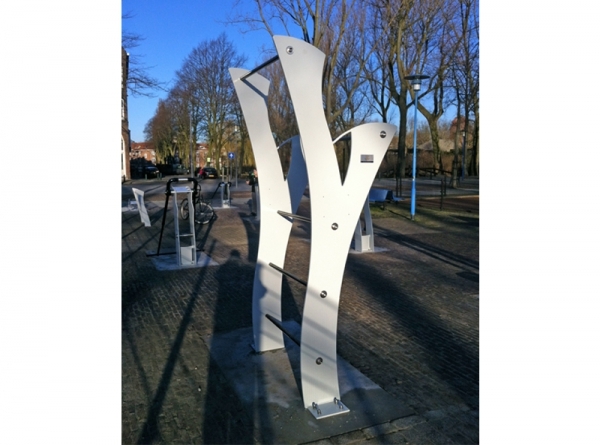 Description: This piece of apparatus is for stretching exercises. In addition, it is also suitable for training a range of different muscle groups. 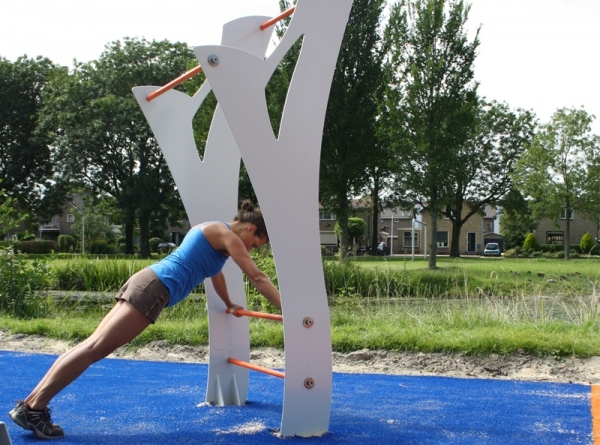 You can use the device as a bar for doing pull-ups, squats or push-ups. The distance between the rungs varies, making it possible to do a range of exercises. 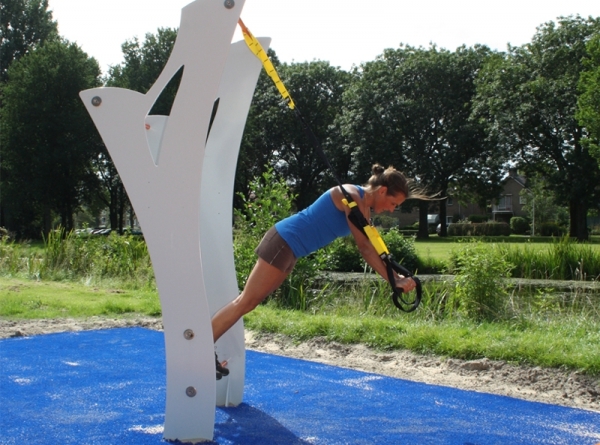 The Stretch bar is also a favorite piece of apparatus for personal trainers. They can tie their TRX cords, ropes and elasticated attachments to it.